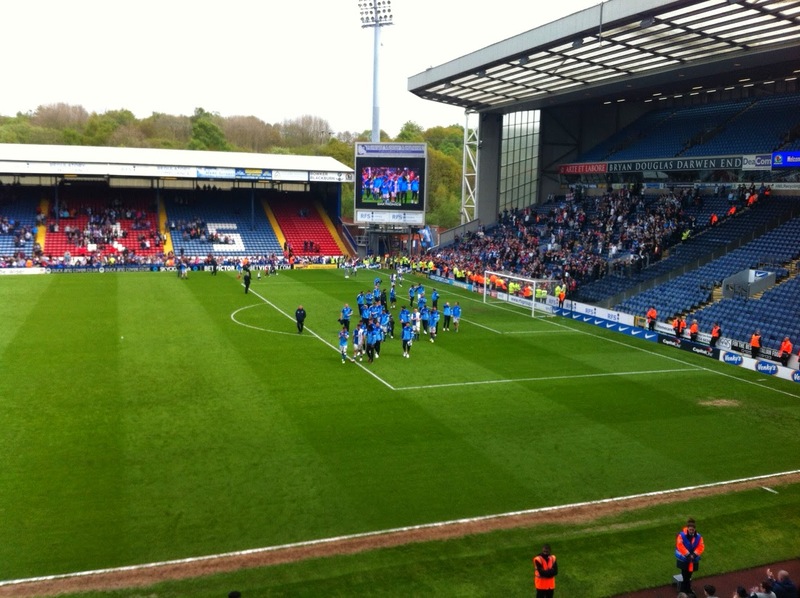 Two years ago I almost wept at how toxic and depressing it had become at Ewood Park. A team of useless mercenaries led by a man of dubious credentials and no connection with the fans. We lost to Wigan and were relegated. I never wanted to come back until this horror had gone. I blamed the Venky's 100%. Today we ended the season on an optimistic note. We may have concluded a game against Wigan in the knowledge we'll be playing in the Championship next season, but the change is seismic. The owners are the same, but this young team and a decent minded manager have a good chance of winning this league next season. I look around at who else will be in this division and I think that has to be a realistic ambition. A team with the spine of Tom Cairney, Rudi Gestede, Jordan Rhodes, Matt Kilgannon and Grant Hanley need fear no-one. What it lacks, I fear, is mental strength; something that comes from experience, strong leadership and shared purpose. They need, and seem to have, a belief in something greater than the sum of its parts, that they are at Blackburn Rovers to achieve rather than to just drift. There's a tangible connection between the fans and this team too. That helps enormously. Handing out the Allez scarves was a nice touch, but honesty and commitment will properly cement that relationship. And we have to be grateful that all is quiet on the Indian front. They seem to have learned something in the last two years. I'll be honest and admit that the fans seem to have learned a thing or two as well. Expectation, mainly. I'd be proud and happy to come back with my lads to Ewood next season. It feels like home again.